Issue #1: I can’t upload my sketch, what’s wrong? 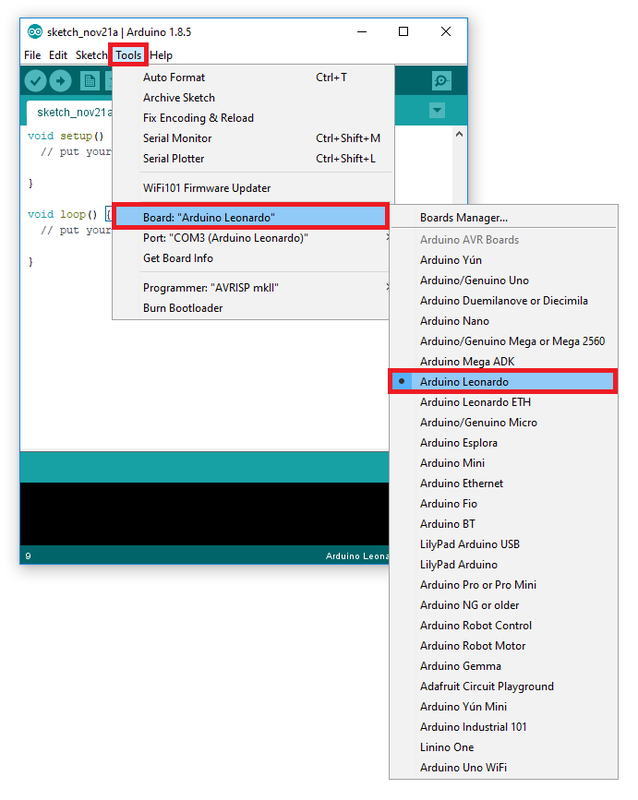 DevDuino includes Arduino Leonardo Bootloader which may not properly auto-reset. Hold down the reset button and with your other hand upload your sketch. When it says “uploading” then release the reset button. 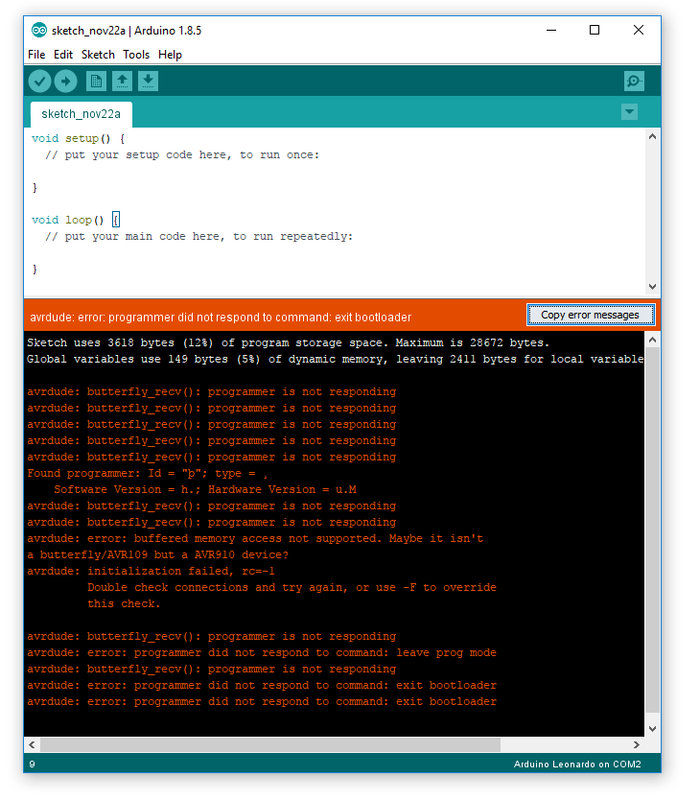 Issue #2: I get this error message, what’s wrong? This error message appears because you are most likely not connected to the right PORT COM. 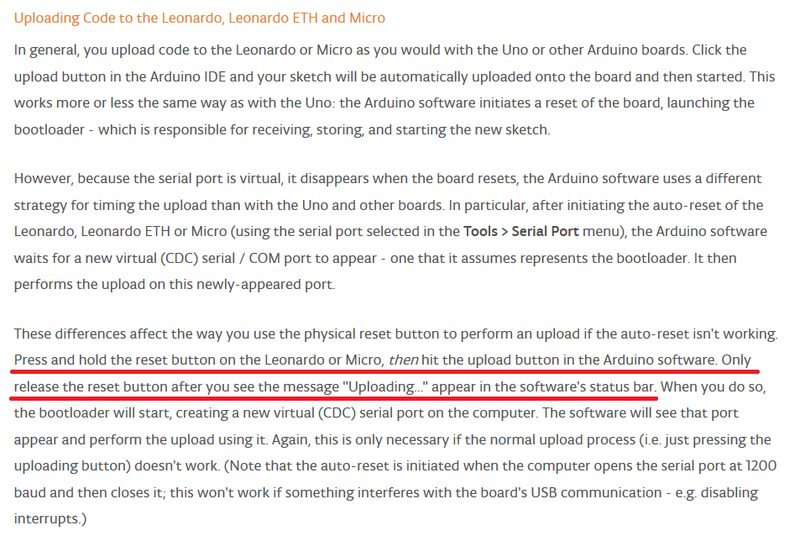 Check that your COM Port is corresponding to the Arduino Leonardo. Issue #3: I get this error message, what’s wrong? 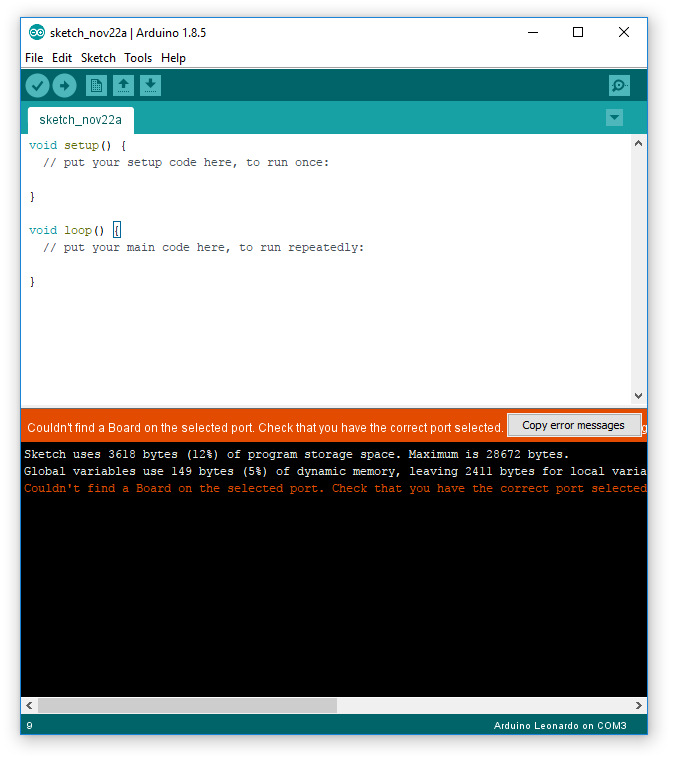 your DevDuino board is not correctly connected to your computer and powered on. Check your USB cable isn’t damaged and make sure it’s connected to your computer. 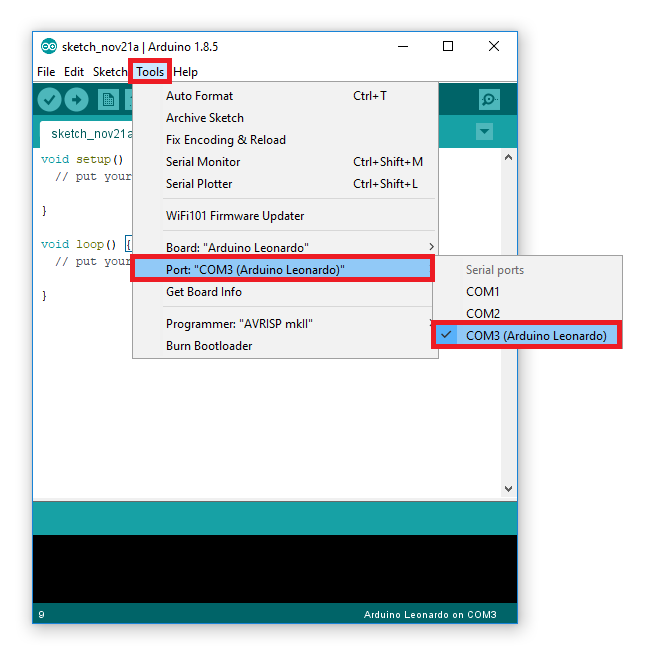 Check that your Arduino IDE is configured for an Arduino Leonardo board.